Spinal injuries are incredibly serious, and can leave you struggling to recover after they occur. Our attorneys have seen the devastating impact spine injuries can have on our clients, which is why we fight so hard to get those injured the compensation that they need to move on with their life. We know that this time can be difficult for you and that often, you may struggle to know what to do. We take this stress off your shoulders and fight to make those responsible pay. Spinal cord injuries can be caused by a huge range of different accidents, but they all share one thing in common - a long road to recovery and the risk of life-altering damage. If you're involved in an accident caused by someone else and have been left with a spinal injury, our lawyers will fight for you to make sure you get what you're owed. The Basics Of Spinal Injuries Spinal injuries are a type of injury that occur as a result of any trauma to the head, neck, or back that leaves the spinal cord injured in any way at all. Some may be very severe while others are milder, but all can leave you struggling to move on. Since the spine is responsible for sending signals throughout the body, an injury to it could lead to huge problems with your health and could also lead to difficulty earning income as you once could have. As such, a spinal injury could alter your life forever - and not for the better. Spinal injuries can occur as a result of virtually any kind of injury, as well. Anything that leads to impact or trauma near or on the spine could leave you with any of the issues above, and more. Any type of accident that leaves you with a spinal injury can be incredibly serious, and focusing your full attention on your physical healing is important. We take care of fighting to get you the financial compensation you need so you don't have to worry about anything other than your health. Under Florida law, if you are injured in an accident that was caused by someone else, you likely have the right to seek financial compensation for your spine injuries. More specifically, you must show that the other party involved in the accident acted in a way that was negligent or reckless and that those actions led to your injuries. Basically, you must show that the other side acted in a way that any reasonable person would find to be negligent or reckless. 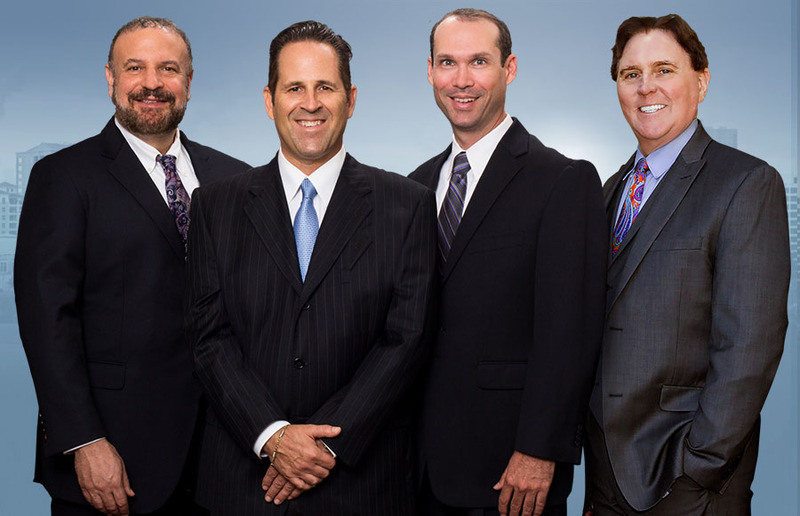 Our lawyers have decades of experience in proving fault in personal injury lawsuits. We'll fight to make those responsible for your spinal injury pay, letting you make the recovery that you need to move on. Spinal injuries can seriously impact your ability to work, and many who are hurt in this way find that they struggle to return to work where they once did and that their potential for growing and improving their career may be limited. A good settlement should include obvious financial factors like medical bills and also include these more abstract but no less important considerations. Our lawyers work with medical experts and financial teams to determine exactly what your lawsuit is worth, then we fight to make sure that you receive it. You shouldn't be left struggling due to the actions of someone else, and we fight to make sure you aren't. Why Does Having A Lawyer Matter So Much? Essentially, they try to bully the injured around. But we fight for the injured, not the powerful. And as such, we stand up to those bullies to make sure that our clients receive the compensation that they deserve. Just having us on your side is often all it will take to stop the other side's bullying and get you their respect, and once that they see that we're fighting for you it's much more likely that you get a settlement faster and are able to move on with your life. There is another reason to trust in our lawyers as well - your physical recovery. When you're stressed about your finances it can be difficult to focus all of your attention where it should be, which is on physical therapy and healing as much as possible. With us fighting for you, you'll be able to focus on your recovery as we take the fight to those responsible for your accident. This lets you rest easier knowing that your finances are being taken care of, and lets you heal. We don't charge you anything upfront, and are only paid when your case is won. In this way, you have no legal fees to concern yourself with. And since we do everything involving the case, you have nothing to do except for heal. Simply put, we let you focus on your recovery while we make those responsible for your injuries pay. If you've been injured in an accident and left with spinal injuries, contact us today so we can start fighting for you. The lawyers of Goldman Babboni Fernandez & Walsh have the firm belief that for the injured, getting justice pays. After an auto accident involving an injury, my father and I worked with Mr. Shapiro and Mr. Goldman and had a great experience doing so. The entire office is punctual, friendly and orderly. Mr. Goldman both have a to the point and say it like it is approach and that is magnificent. I will contact them again if I should ever need legal assistance.